Added on January 31, 2008 by Cole Pierce. In other news . 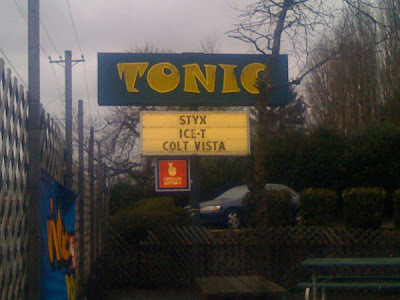 . . Aric Naue is playing guitar in a band named Colt Vista. If you've heard any of his self-released cds (On The Verge of a Picnic, Compulsion, Thosepassedoutmissedoutonsecondsminutestoosoon, or Family Chameleon) you are probably very excited by this news. Visit their website www.coltvista.com for more relevant information. February 28 at the Know in Portland. March 13 at High Dive in Seattle.